This is a sponsored post for which I received compensation. The real meaning of Christmas is a joy to teach children. Their eyes light – the story has a magical feel, but they know that it is real. Through the years, the traditions of Christmas has changed a lot – but the ultimate tale of the story stays the same – a gift given by our Heavenly Father, a story of love that is unconditional – a story of love coming down. Through the years, the traditions of Christmas have changed. Today, some families place Christmas trees- a sign of eternal life. Some use angels on the top to remind us how the angels came to announce the birth of Christ. Others use a star that led the Wise Men from afar. We place nativities around our homes, candles in our windows as a sign of the Light of the World made flesh. Godis the ultimate Gift Giver. Yet, other traditions have come. Like that of Santa – or St Nicholas. This tradition has stirred controversy. Not because of who St Nicholas was – but because we have allowed the celebration of this man and his goodness and love for others to overshadow the perfect love and gift that was given by God. In The Gift Giver, we see a young boy find Santa placing three presents under his tree. The little boy believes he was well behaved- and deserved more then three presents. So, the man in the red suit begins to tell the story of how he came to be, and why he was only pacing three presents under the tree. He tells the story of St Nicholas in a way that children will relate to. He shares a story that points back to the heart of St Nicholas- that he wandted to share the love of Christ with everyone he came into contact with. He shares a story that should be what we, as Christians, are doing now during this Advent season – and every day of the year. 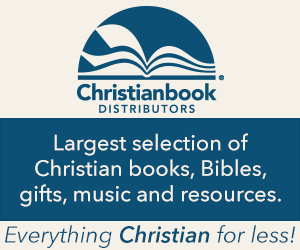 Sharing the love of Christ. Yes, the world has made Santa into something that was never St Nicholas’ heart. However, after being reminded of his why, I am glad we have celebrated his true tradition in our home. 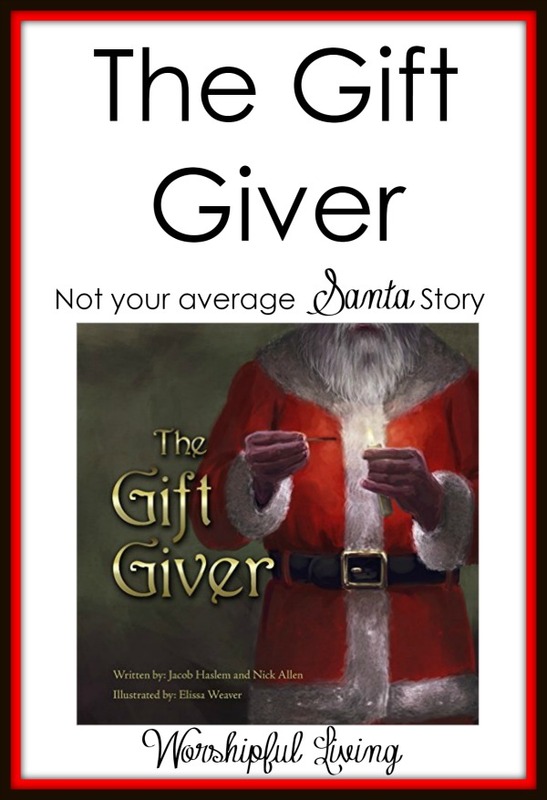 The Gift Giver is an awesome book that I think is a great addition to your children’s Christmas Library. It points constantly to God being the one true gift giver in a beautiful way – and also still commemorates what St Nicholas did. Do Three Gifts- Instead of doing all your presents from Santa, just do three small gifts. The gifts that St Nicholas gave were small, and sometimes practical. Instead of doing game systems, bikes, and doll houses from Santa, make those gifts from you. 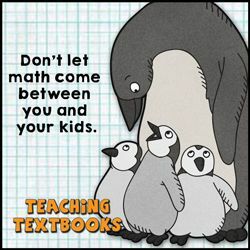 (You worked hard to be able to provide for them- so they should be from you anyway!) Make your Santa gifts small trinkets gifts. We often do something to read, something to wear, and something they need. 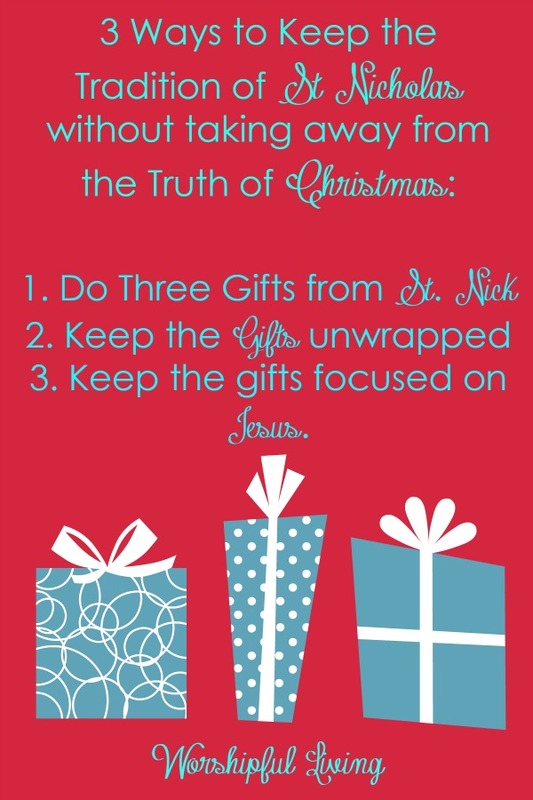 Keep the gifts unwrapped – St Nick did not wrap his presents. So keep your presents unwrapped from Santa. This will set them apart as gifts that were from this tradition. Point to Jesus- Make these three gifts something that will point them back to Jesus. Maybe it is a devotional, an outfit for church and a new Christian movie! Keep the focus on Christ. You won’t find Christmas shame here if you do Santa different. However, these simple rules have kept Santa – St Nicholas- in the proper place in our Christmas tradition. 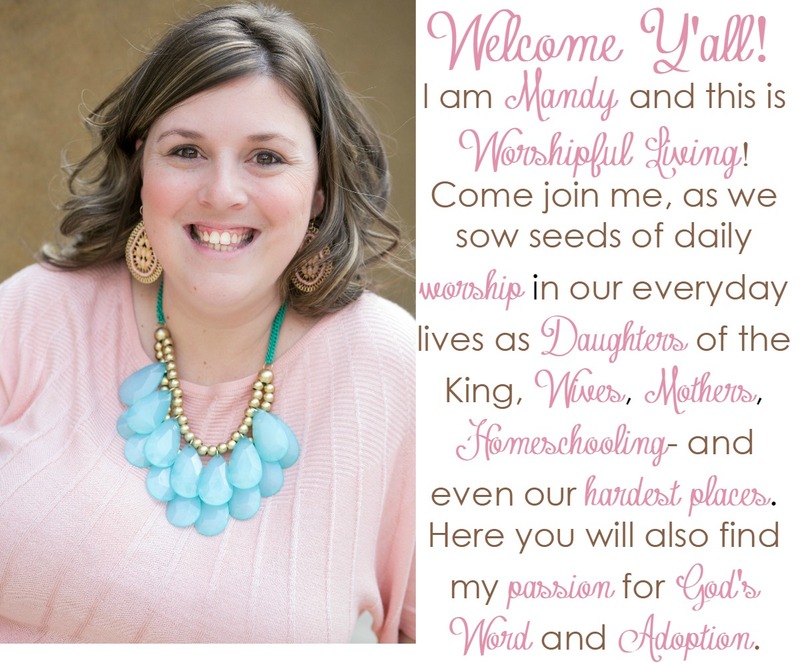 hey Mandy – thanks for sharing today at Grace & Truth. I haven’t read this book yet, so thanks for sharing. I like your suggestions and appreciate your thoughts on it. Our family celebrates St Nick Day and we do our stocking then – got the idea from a book called Celebrating the Christian year.. We would read a book called “Santa are you for Real?” to the kids when they were small, and it helped to keep the focus on the real reason for Christmas – Jesus! and the real man St Nick. Thanks again for sharing.